I can remember the first time I saw Mystic Pizza. I remember distinctly being in a funk because my sister (who is almost 10 years older than me) wanted to watch it and I did not. My exact words were "I don't want to watch a movie about a pizza." I was young - what did I know? Not long after that I was obsessed with big, curly Julia Roberts hair and the spiral perm phase of my life followed shortly after. Let's just say I really liked it and though I'm sure I didn't understand what most of it was about, I really enjoyed a movie about three young women trying to make a better life for themselves while livin' it up in a small town. I was from a small town, so I could certainly relate to that aspect of the movie even if most of the rest of the story was a bit above my head. If you've never seen Mystic Pizza, now is a really good time to take some time and revel in a classic 80's film - one of Julia's first actually - that never gets old. Set in a small Connecticut town, Daisy, Kat and Jojo are all waitresses at Mystic Pizza, slingin pie and trying to make money in town that also happens to have a population of wealthy summer house renters as well. It's a coming-of-age film with tons of romance, cultural themes including feminism, class divisions and religion, humor and of course, pizza. While there is a real Mystic Pizza Cafe, the movie was not filmed there... That said, if you watch it and love it, you can always head to Mystic Connecticut for "a slice of Heaven" and walk in the footsteps of Daisy, Kat and Jojo. "Yeah, well, don't worry about me. I'm not gonna be slingin' pizza for the rest of my life." 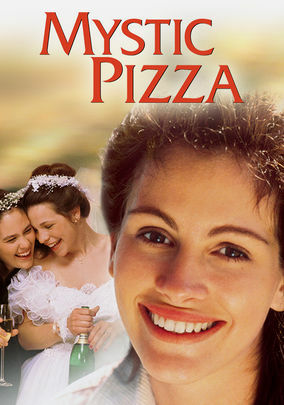 Mystic Pizza is currently available on Netflix in the UK, but if you don't have Netflix or it's not available in your country, there are some options. • Click here to rent or buy Mystic Pizza from Amazon. • Click here to buy Mystic Pizza from iTunes. Take a note out of Daisy's book and stick with beer, but unlike the Miller Lite she enjoys in the film, I decided to make it Italian. 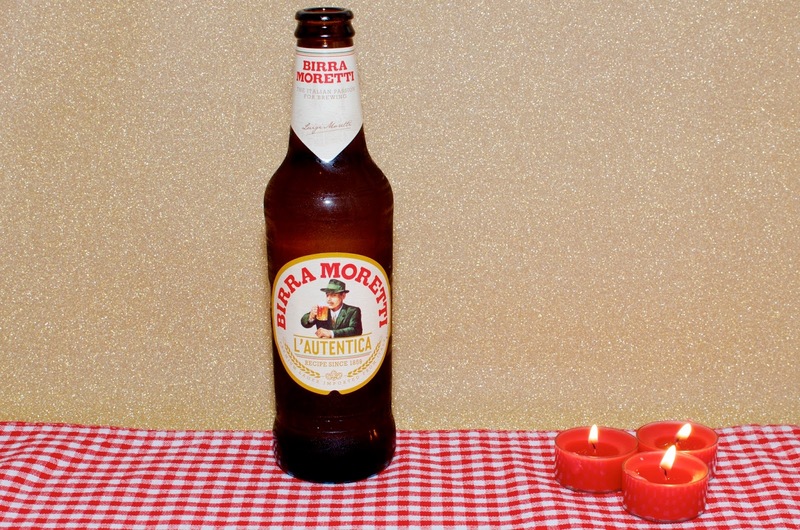 Birra Moretti is my choice for a night in... I found it in my local Sainsbury's, but if you can't get your hands on it, try Peroni or another Italian lager. 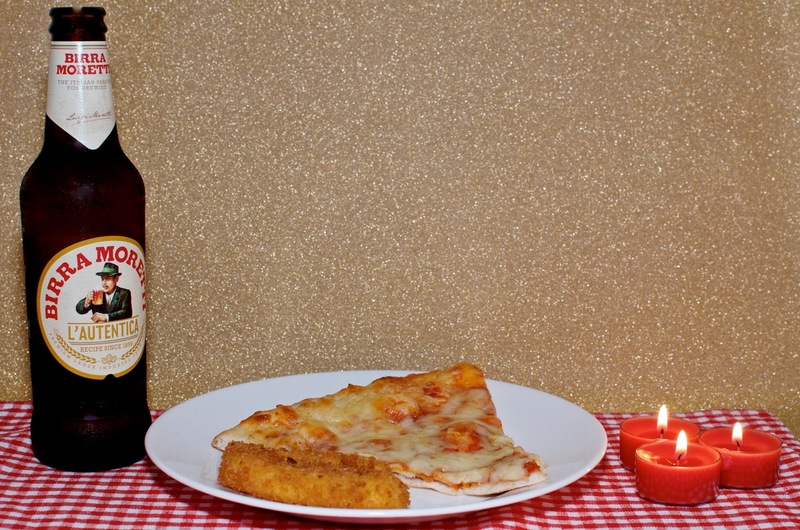 Nothing says chill like beer & pizza! For a special movie viewing like this one, I want to just settle in with plenty of delicious (fattening) nibbles. Pizza: √, mozzarella cheese sticks: √, profiteroles: √... Job done. You can order pizza, make pizza or buy readymade chilled or frozen... It's really up to you. Ready meals are easy and for me, something like pre-made pizza is a bit of a treat, so I love to hit up Marks & Spencer for a meal like this. 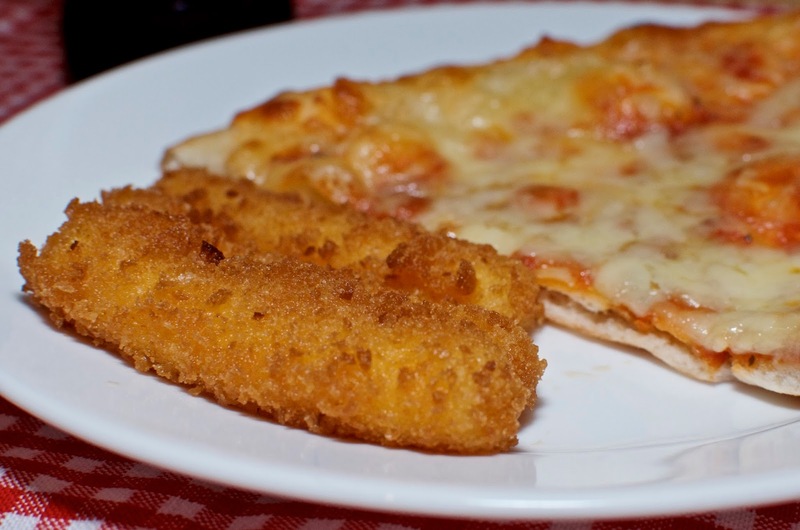 M&S pizzas are cheesy and melty, their mozzarella sticks are crispy and the profiteroles dessert is to die for. 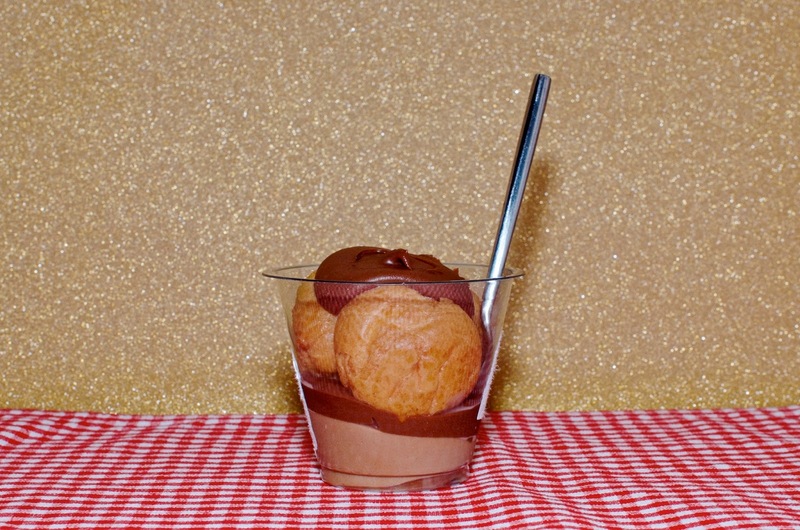 It's like chocolate mousse with cream filled profiteroles drizzled in a fudgy, chocolate sauce. It's divine! If you're in America and have a bit of time to plan your evening, you can actually order frozen Mystic All Natural Pizza delivered to your home to get the full experience! That's pretty much it... A low-key night at home with a wonderful movie from the 80's... What more could you want when you're tired, drained and need an evening at home to refuel? This is how I charge my batteries and if I was really into it, I might move on to another classic 80's movie after that... Something like St. Elmo's Fire.